Sony PlayStation Classic on the left, original Sony PlayStation on the right. There are some pretty obvious differences. 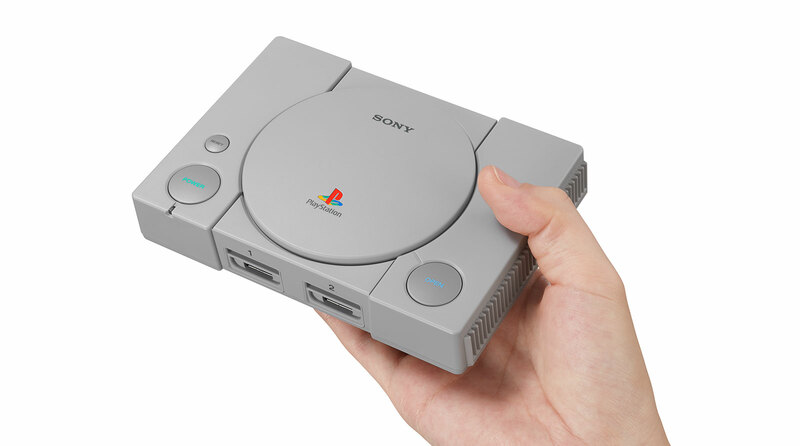 Sony’s original PlayStation is back in a tiny edition, and the good news is that it’s coming with games and a smaller size than when it first came out. If you’re old enough to recall the original PlayStation, there’s a good chance you spent some time in video game shops wondering if this was the future of gaming. Back when Sega made more than just freemium games and had an actual console named after a planet, Nintendo was conquering the video game world with a 64-bit version of its beloved Super Mario Bros, Sony decided to enter the video game world, too. 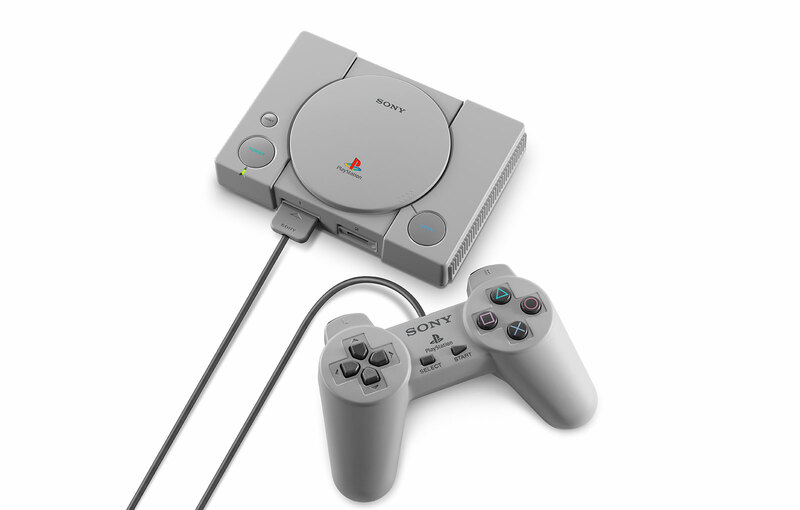 They called it the “PlayStation”, and was a video game system focused on some pretty impressive (at least for the time) 3D graphics. That was back in 1994, when video games were just beginning to make the transition to this futuristic style of going heavy on the 3D, and wowing the world. When it launched, this writer wasn’t even a teen, and as such couldn’t afford one. He saved his money for a Sega Saturn (which he loved), and then spent far too much time in video rental stores and video game stores playing on the PlayStation, wondering if perhaps he should have opted for Sony’s new player instead. That was a long time ago, and over 20 years, and while he has no regrets on his decision, he always wanted to play some of the titles that graced that first generation Sony console. Titles like “Battle Arena Toshinden”, “Syphon Filter”, “Oddworld”, and “Metal Gear Solid” slipped by, and could only be played by the demo disc running at various game and video outlets that he was lucky enough to play for the few minutes he could. But now he has a new chance, because the original PlayStation is back. Sony has revived and revisited the first generation PlayStation, building a new model that you can’t open up and throw discs into, but does come with 20 titles instead, offering a glimpse into Sony’s PlayStation 1 history, complete with a console that manages to be much smaller (40 percent smaller!) and made for today’s TVs. While the original PlayStation was made before HDMI was a thing, the new PlayStation Classic arrives with an HDMI port to plug into a modern TV, as well as two new variations on the original PlayStation controller, which now plug in with USB. 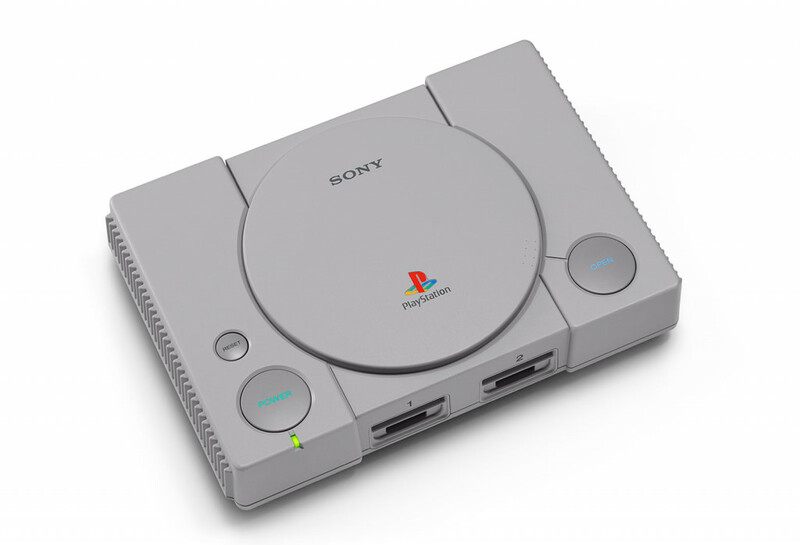 In fact the power is supplied to the PlayStation Classic by microUSB, basically making it a tiny computer that runs PlayStation games. And by “runs”, we mean that it includes and runs PlayStation games, including 20 titles for you to relive those golden years with. The titles we missed are all on there, as is “Cool Boarders 2”, “Destruction Derby”, “Final Fantasy VII”, and more, making it a retro console for folks that might have missed the start of Sony’s console revolution, or who yearn to go back. Australian stores can expect the PlayStation Classic shortly for $149.99, though we’re not sure if it’s a limited edition and if it will run out. It’s not the first retro-refresh of a video game console we’ve seen thus far, and Nintendo’s usually sell out pretty quickly. However, we’re waiting for Sony to tell us if this will be a limited run as well, and will let you know when we do. For now, assume that it might be, and if you’re keen to relive those wonder years, you’ll find the Sony PlayStation Classic in stores from select retailers now.